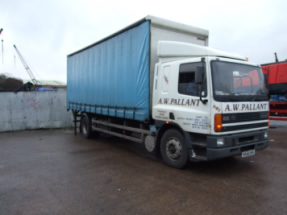 Anthony started in business in 1983 with just 5 small vans and a determination to succeed. 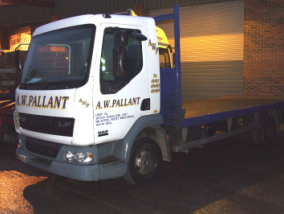 Since then AWP Haulage has continued to grow through reputation and recommendation and is now a modern multi vehicle fleet made up of 30 vehicles and still growing. We have an excellent team of drivers, many of whom joined us in 1983 and who still remain dedicated today. All our drivers under go constant assessment and training to ensure they continue to meet the highest standards and to ensure the safety and efficiency of our fleet. In addition to the necessary qualifications our drivers hold the CPCS cards to enable them to gain access to building sites and to use their Hiabs to unload. All our drivers are also up to date with their driver cpcs. We have a varied customer base, many of them have been with us since our beginning, and while we continue to provide them with a daily service, we continue expand our customer base through company expansion and vehicle purchases. We are happy to accommodate new customers.